Stewards are activists from a workplace who are the building blocks of the union. They are democratically elected and represent, organise and recruit members in their workplace. Only an organised activist base supported by members can deliver justice at work, improvements in terms and conditions, and can act effectively as an advocate for ordinary workers in their workplace. Encouraged to develop local networks with other UNISON activists in order to improve organisation within the workplace. Encouraged to participate within UNISON’s democratic structures at a local, regional and national level. If you’re interested in finding out more about becoming a steward then please contact the branch on via email on info@unisoncvob.org.uk and or via phone on 020 7729 4001. 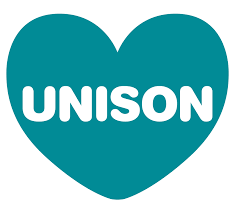 If you are interested in getting involved then we highly recommend reviewing our Getting Involved in UNISON – FAQ page before contacting the branch.